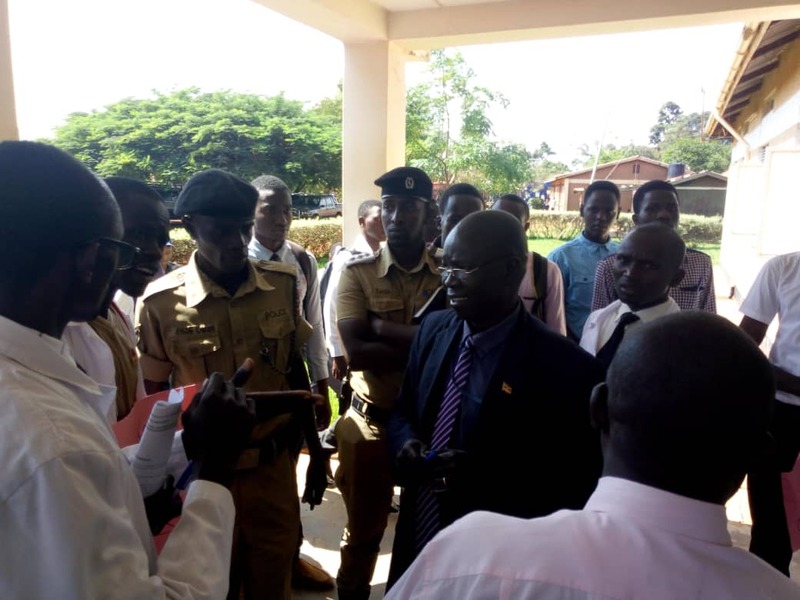 The student from faculty of medicine stormed the administration block to demand for better welfare and academic environment at Gulu University yesterday. 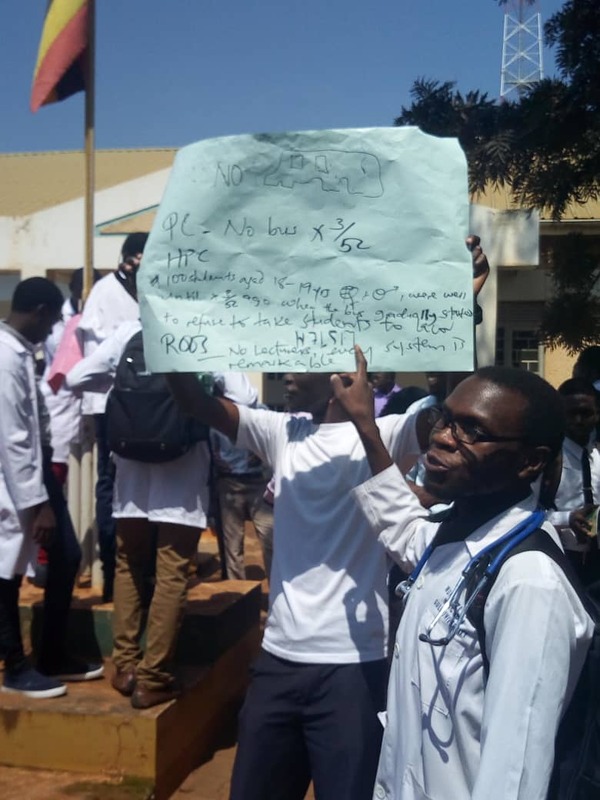 Clad in their clinical coats, the disgruntled students holding manillas and posters expressing their dissatisfaction in the faculty matched to authorities to express their grievances. The group was led by the student trustees to lobby for a way to overcome the reigning challenges and find a sustainable lasting solution. The students chanted, “We want our bus”, “We want lectures on ward”. 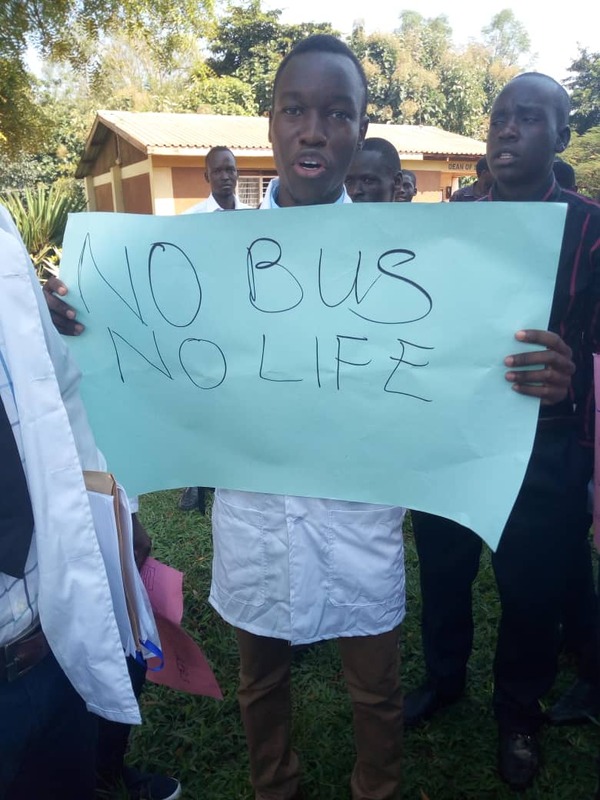 This was justified by the university’s failure to provide a bus that transports clinical students to and from Lacor Hospital for lectures and ward rotations. This followed the failure to replace the PMO of the bus and other road licenses that expired two years ago. “The bus has been captured three times by the police without PMO”, said the University Bursar. He added that he bus drivers refused to work because they feared losing their permits after being fined many times. During this match, students in clinical rotations especially pediatrics raised a complaint that they have never been lectured since the semester started. 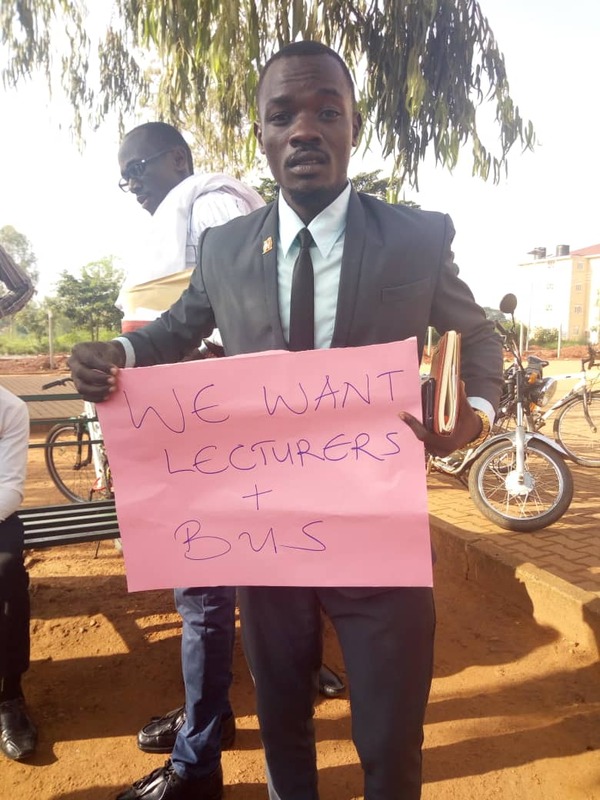 They allege that the university harbors ghost lecturers while students are stranded on ward and classrooms. There are concerns that following the Uganda Medical and Dental Practitioners Council(UMDPC) inspection, the medical school was instructed to revamp the structure of operation at the medical school before October lest it faces closure. In a petition, read out by the faculty president, Ejesu Felix, students raised over 13 concerns that include lack of teaching aids. 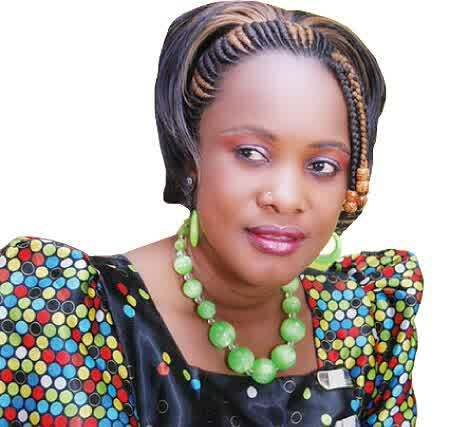 “Faculty of medicine has total of 12 classes with 2 white boards and 3 projectors”, read Ejesu Felix. Other concerns included unfair retakes, harsh and inaccessible officers, lack of practical laboratories and delay of results especially Semester one results (pharmaceutics) of diploma pharmacy. “We have issues of payments but lecturers should stop offloading their anger on students. Some went away with students’ results over no payment,” said Prof. Openjuru, the university vice chancellor. 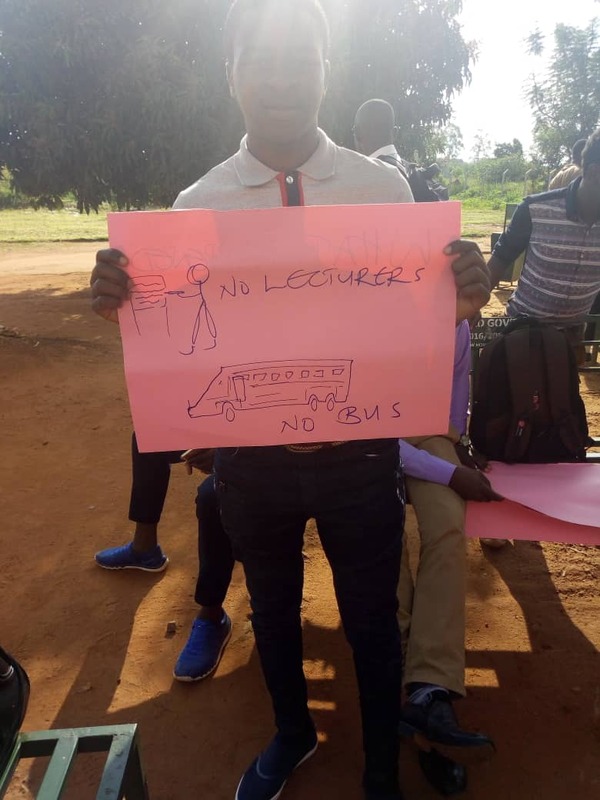 In a meeting that took over four hours, he assured students that he was going to order for 7 lecturers be recruited and also settle all their grievances. He additionally pledged to deal with uncooperative staff and transfer his office to Faculty of Medicine in order to deal with faculty matters more efficiently. The pledges made by the administration were immediately put underway with the bus picking students for lectures.